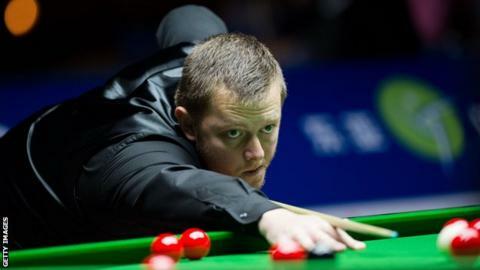 Northern Ireland's Mark Allen has cruised into the quarter-finals of the Shanghai Masters by beating former world champion Mark Williams 5-1. Thursday's victory puts the Antrim man through to play another Welshman Michael White who beat Ryan Day 5-2. In the first round Allen, recent winner of the Paul Hunter Classic and ranked number nine in the world, defeated Andrew Higginson of Widnes 5-3. Ding Junhui is the current holder of the Shanghai Masters title. In the 2013 tournament, he beat Xiao Guodong 10-6 in the first ever world ranking final between two Chinese players.